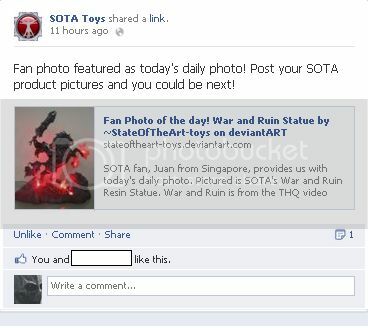 Dr Jengo's World: Featured in SOTA Toys' Daily Photo! That's my pic of Darksiders War and Ruin Statue! Woohoo! Check out the link here! Also do check out their Facebook page here and post your pics on their wall if you have any of their products and who knows, they might choose yours for their next Daily Photo.